This is going to be a very eventful week. No time for dilly-dallying unless you count sitting in a room trying to conjure up money from non-existent sources. Half-day work meeting to create a new budget for school funds. Yeah, we are broke. But a half day meeting means only one thing to teachers. After I taught the rest of the day to some very excited kiddos (field trip tomorrow), we had a staff meeting to propose 2 options for our budget. Either we pay to keep our translator (30% non-English speaking school) OR we pay to keep a home-school counselor. It’s a no brainer. We can’t open the doors with our translator. Despite the stress of the day, I managed to get outside for some rays and a little run. I have a half-marathon this weekend and I haven’t seen sun in years, it seems. Ran a quick 3 and called it done. Dinner was YUMMY! 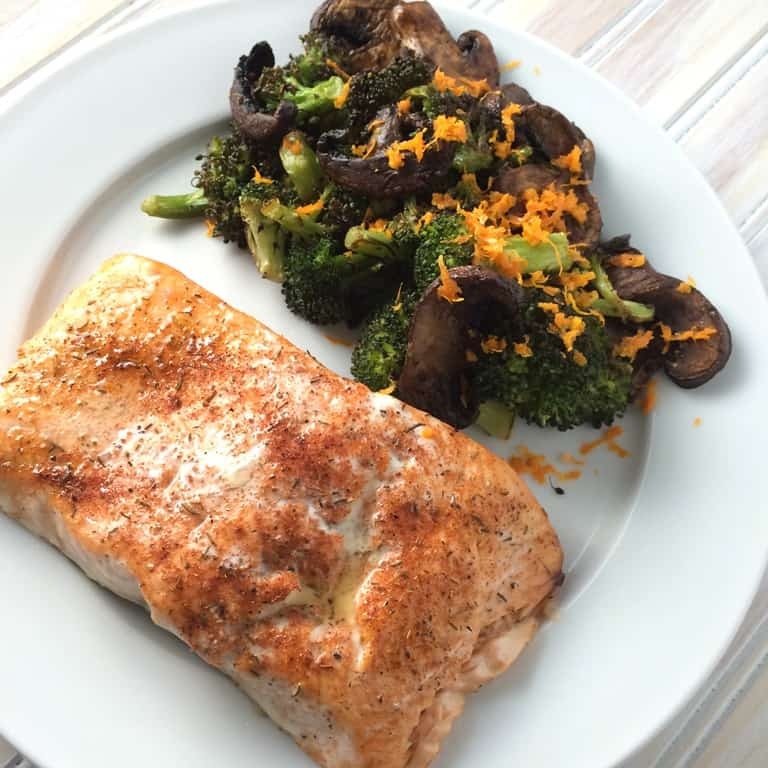 Salmon with roasted broccoli and mushrooms with orange zest. Orange is so good with salmon. And now I need sleep. Final field trip tomorrow.